If you’re a sports fan then Canada is a great place to see some of North America’s top teams. The country is very large so we suggest that you stick to one province. If you’re a big hockey fan then Alberta or Ontario are probably going to be your best options. Both provinces have two National Hockey League (NHL) teams. Ontario has the Ottawa Senators and the Toronto Maple Leafs; Alberta has the Edmonton Oilers and the Calgary Flames. There are NHL teams in three other provinces (Quebec, Manitoba, & British Columbia). If you’re looking to get the most bang for your buck then we suggest you choose Ontario for your sports road trip. This province has an NBA basketball team, an MLB baseball team, two NHL hockey teams and hundreds of other great sports teams, museums, and attractions. Here are a few spots you should make sure you visit on your road trip through Ontario. If you want to watch world-class baseball then make sure you see a Toronto Blue Jays game. They are the only team located outside of the United States to win a World Series. They won back-to-back championships in 1992 and 1993. They haven’t been back to playoffs since but the team still remains competitive in the Eastern Division. 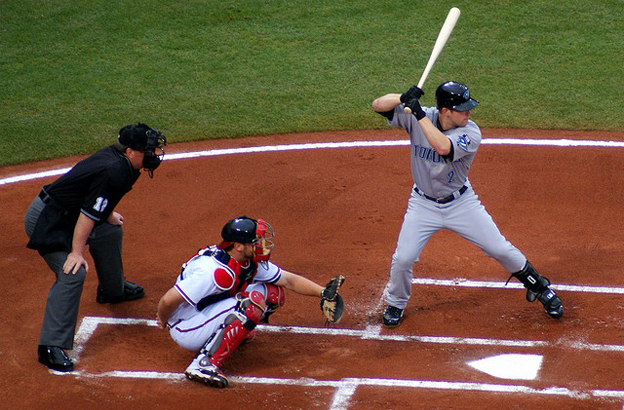 They are the only Canadian team in Major League Baseball (MLB) so make sure you stop by for a ball game on your way through Toronto. The Toronto Argonauts, having been formed in 1873, are one of the oldest professional sports teams in all of North America. The Atlanta Braves and the Chicago Cubs are older but only by a few years. Since 1989, the Argonauts have played at the Rogers Centre in Downtown Toronto. If you’re visiting Ontario during football season then you’ll have to park the car and see an Argos game. The team last won a Grey Cup in 2004 but they have won their last four appearances in the Grey Cup game, so if they make it to the finals, you’ll want to be an Argonauts fan. The Raptors are a relatively new franchise. The team was established in 1995 and they have been playing in the Air Canada Centre since 1999. They are the only Canadian NBA team. The Grizzlies moved from Vancouver, British Columbia to Memphis, Tennessee in 2001. 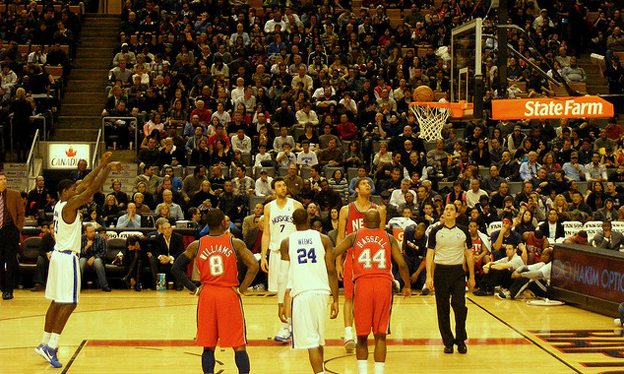 The NBA season in 2011-2012 will run from December 25, 2011 to April 26, 2012 due to a lockout. The season may be short but you can still catch a Raptors game! Depending on where you will be going on your road trip through Ontario, you will have a few choices for world-class hockey. The Ottawa Senators and Toronto Maple Leafs are within the province’s borders but you can also drive a very short distance to see the Buffalo Sabres and the Detroit Red Wings. Buffalo and Detroit are so close that a large number of the fans at their home games are actually Canadians driving down from Ontario. If you get the chance, try to see a Toronto Maple Leafs/Ottawa Senators game or a Toronto Maple Leafs/Montreal Canadians game. These teams have been rivals for years and the excitement in the arena will be worth the hefty ticket price. If you’re taking a road trip through Ontario then you’ll likely end up in Toronto at some point. 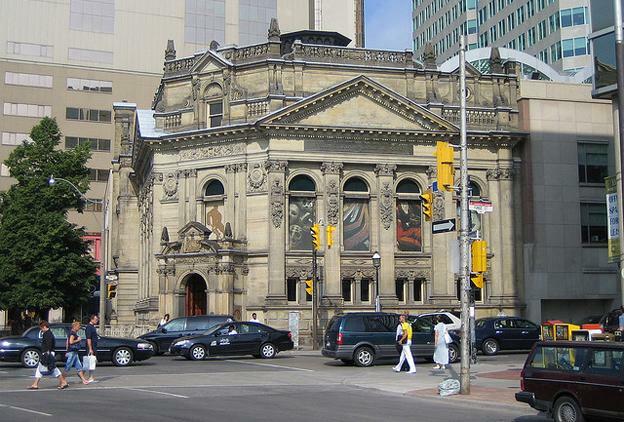 This is where you should visit the Hockey Hall of Fame (HHF). It is located at 30 Yonge Street. The museum has the largest hockey memorabilia collection in the world. You can take shots at real goalies, call the play-by-play of a classic hockey game, and watch hockey films in the HHF theatre. You can even touch the Stanley Cup, the Holy Grail for every hockey player on the planet. The Hall of Fame is a short walk from a number of other fun destinations in Toronto: the CN Tower, the Rogers Center (home of the Toronto Blue Jays & Toronto Argonauts), and the Air Canada Centre (home of the Toronto Raptors & Toronto Maple Leafs). There are literally hundreds of other great sports teams and destinations that you could see in Ontario. Use this guide as a starting point and plan your road trip from there. Have a great trip! Catherine Wells, the author of the “A Sports Road Trip in Canada” is full time radio presenter for a Canadian Sports radio station.